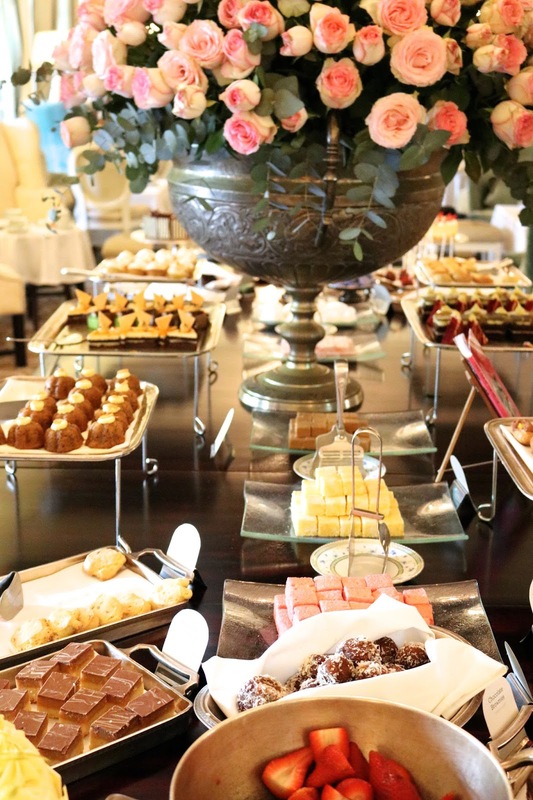 I’ve always loved the original Charlie & the Chocolate Factory film; that scene where they enter Willy Wonka’s world for the first time with all those incredible edible trees and the river…it’s a wonderland for foodies, and not too dissimilar to afternoon tea at the Belmond Mount Nelson Hotel. Before our afternoon tea booking, we met Gabi (Belmond Mount Nelson PR Manager) in the reception area for a tour of the incredible hotel. The Belmond Mount Nelson is most definitely in my top five hotels of all time and, dating back to 1899, it holds incredible history within its walls. Starting out as just the main building, it’s since added at least a further 10 buildings and 198 rooms, to create the hotel grounds as we know it today. Because there are so many rooms, over the years wings of the buildings have undergone individual transformations. Whilst our room was beautiful and decorated to the most incredible standard, others are fairly old and dated. Over the next few years these will be undergoing their makeovers, so Ben and I have already promised to return to see the renovations. After exploring the rest of the rooms in the buildings, we were keen to see the spa. Although sadly we didn’t have time to trial any of the treatments, we did get a good feel for the zen space. The outside of the spa actually reminded me of the pink one at the Peacock Gardens – they could be sisters. 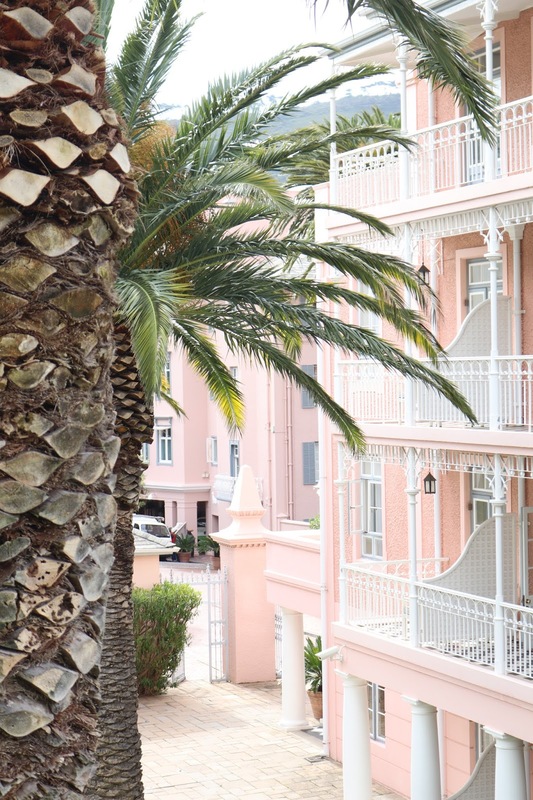 The Librisa Spa is one of the best in Cape Town, offering guests everything from wraps to massages, facials and manicures using Kalahari and Africology products, followed by a relaxing steam in the Finnish Sauna and tea in the conservatory. If you’re local, you can even leave the kids, free of charge, in the fully supervised children’s club while you relax. From the spa, we walked past the most picturesque gym I’ve ever seen and again past the Oasis Bistro and pool to the Afternoon tea conservatory. Stepping into the conservatory from the gardens, every table was filled with people celebrating something, anything, for an excuse to attend afternoon tea. 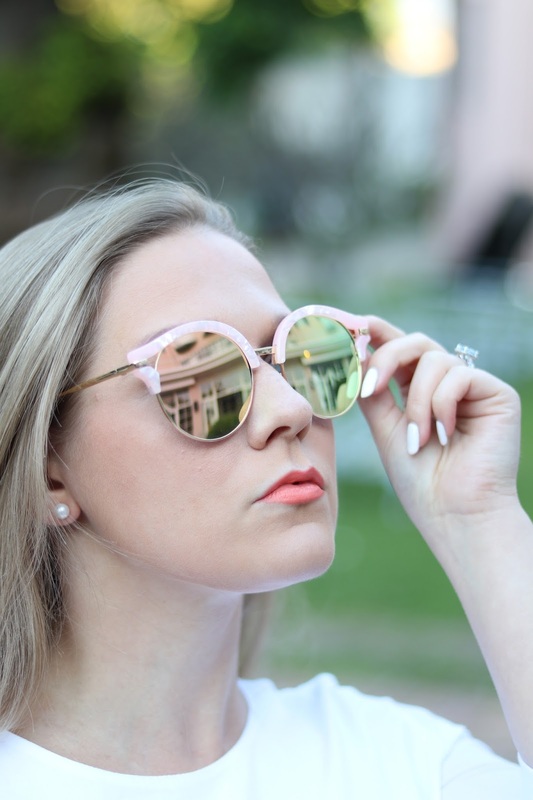 Women on a hen do, an elderly couple looking adoringly into one another’s eyes, a mother and daughter, a family occasion and even a group of gentlemen were all enjoying afternoon tea, dressed up accordingly with a nod to the smart casual dress code. 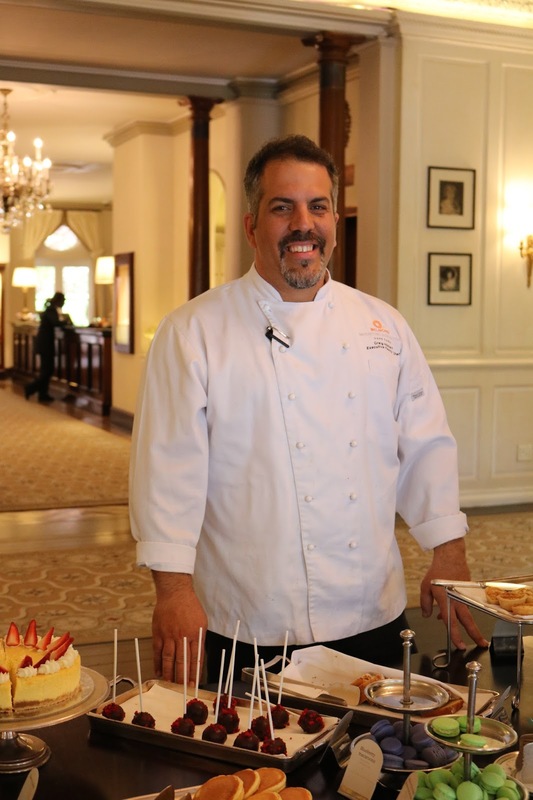 Gabi introduced us to Craig Hibbert, the incredibly hard working pastry chef (he starts work at 8am most days and finishes around midnight) whose job it is to design and create every single masterpiece laid out on the huge central table. 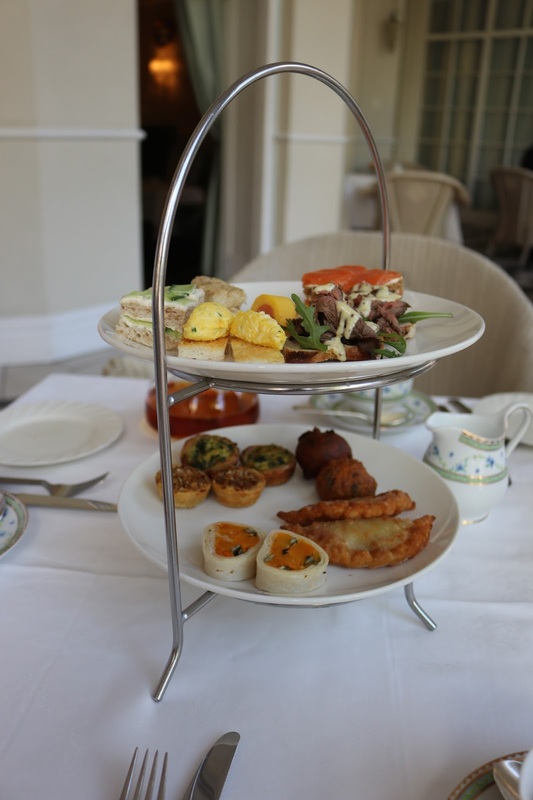 His creations are adored by thousands that come to the Belmond Mount Nelson for the world-famous afternoon tea and we were extremely excited to try them for ourselves. 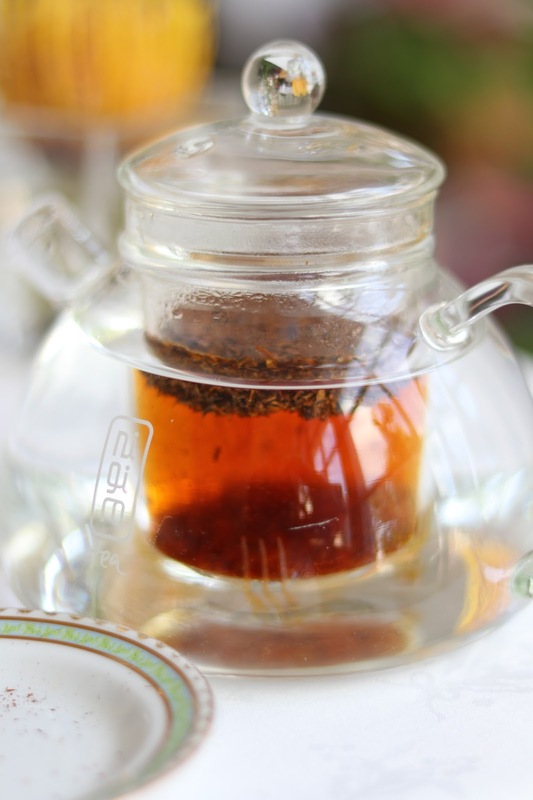 We started with beautiful loose-leaf tea, before the delicious plates of sandwiches and scones were brought out and we were set loose on the cake table. 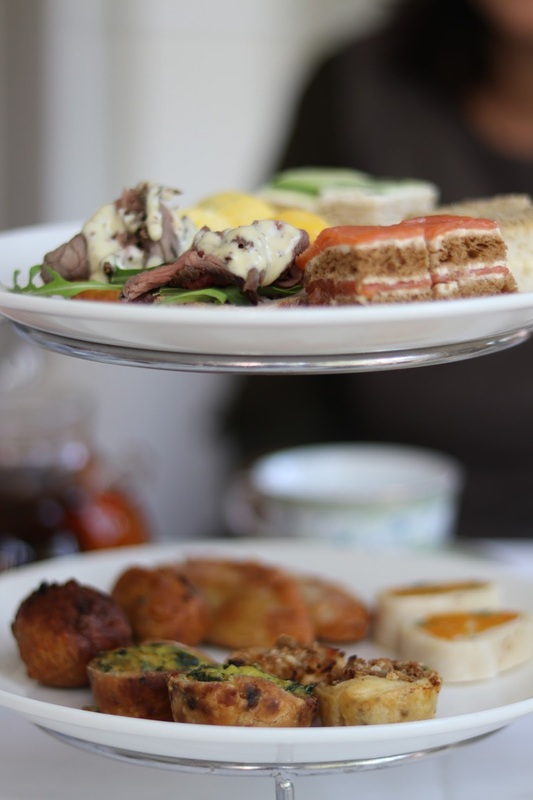 Afternoon tea was heavenly. I honestly recommend it so highly, probably one of the best if not, the best (?!) I’ve ever had. Especially in terms of choice. You can’t not be happy with this feast. After trying one of every cake on the table (almost) and saying goodbye to Gabi, we decided on a walk before it got dark. Just outside the hotel are The Company’s Gardens. 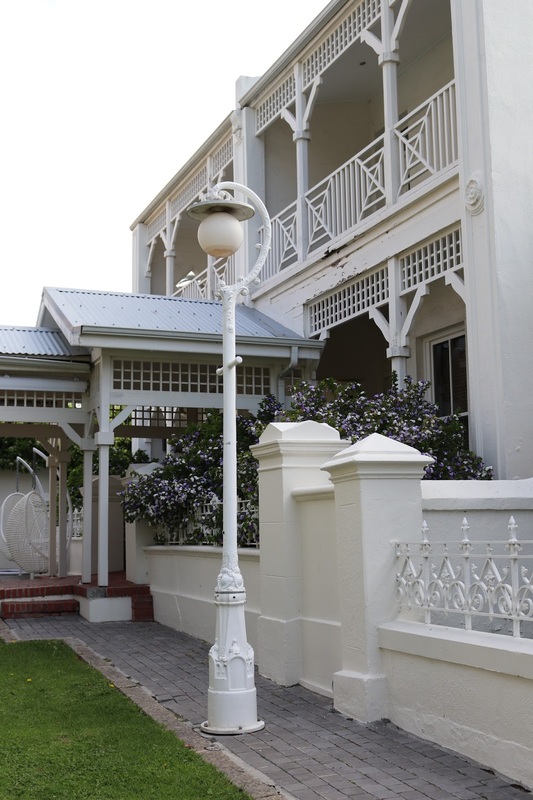 Home to numerous memorials and the oldest cultivated pear tree in South Africa (circa 1652) it was created by the first European settlers and provided fertile ground to grow produce on, so a visit is definitely worth it for the history alone. While the sun set over the mountains, and our last evening in South Africa, we had a relaxing evening in our room catching up with friends and family over whatsapp before dinner. 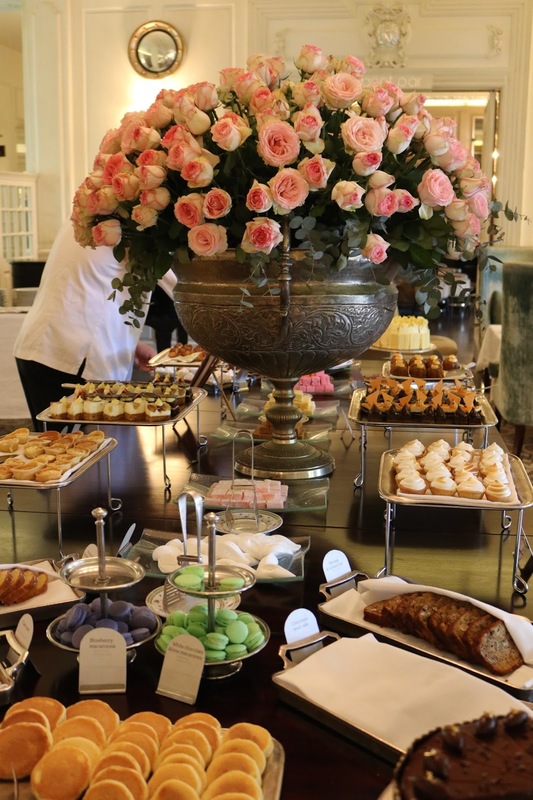 The Belmond Mount Nelson had one more treat in store for us. Through a secret door, we were lead into the kitchen. Pots and pans sizzled, popped and steamed over the stoves while the chef and all the kitchen staff busied themselves back and forth over different dishes. Amongst all the hustle and bustle, there was an aura of calm in the kitchen. The Executive chef, Rudi Liebenberg met us as we entered and introduced himself with a quick tour of the kitchen before seating us on a table for two in the middle of the kitchen. There is a small area with just five tables each evening in a small alcove within the kitchen a huge angled mirror ensures that whichever way you’re facing, you don’t miss the action. Neither Ben nor I had observed a Chef’s Table dining experience before, so we were both excited to witness the spectacle and what a delight it was. Each dish, perfectly accompanied with a hand picked wine by the sommelier and served with an explanation of the food by the chef that prepared it. Bread with home made butters and hummus were a perfect warm up as we waited for the first course of pig cooked in an incredulous number of ways. Marrow, crackling, ham, and a black pudding meat ball. To follow; oyster scampi, oyster foam and oyster jelly. Probably my least favourite dish if I’m totally honest, but it was beautifully presented and if you like oysters, you’d love it! For Ben being allergic to fish, tempura vegetables were prepared for him instead. The next course was one of my favourites. Prawn and Coconut Curry, or a deconstructed version at least. The curry sauce was incredible and the prawn perfectly cooked. Ben’s alternative was a similar dish with duck instead. Both were incredible. Next up was poached sea bass for me and chicken for Ben. The corn was incredible with the most delicate potato and muscle veloute – it didn’t take long to eat. By this point, I was starting to get full. We were eating proper portion sizes and having wine with each course. This meal was not for the faint hearted. Continuing on and just half way through, it was time for meat. Slow cooked lamb fillet and kidney jus, then an impromptu bowl of citrus sorbet as a palette cleanser. After five courses, it was time for the penultimate course; candied, nut crusted Springbok Loin. The most beautiful autumnal dish. I’d actually love to try and recreate this dish this autumn. Can you imagine how impressed your guests would be?! At this point, I couldn’t go on any further so stuck to the wine and let Ben finish for the both of us with the Whiskey and Chocolate finale. At just £65 per person with wine, I honestly think it’s better value and quality than almost any meal you can find in London. The Chef’s kitchen at Belmond Mount Nelson is such an incredible experience and was the perfect send off for our last evening in South Africa, before it was on to our next stop! Detailed Sleeves you will LOVE for Spring!